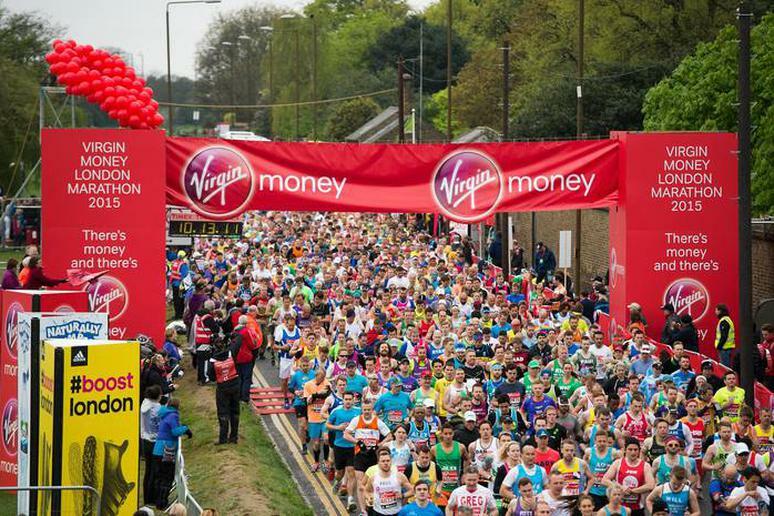 What makes a marathon worth running? Well, other than the chance to challenge both your physical and mental limits and to prove to yourself that with hard work and determination you can achieve just about anything? For starters, a great course with scenic views certainly adds value to an event. And when that course is lined with hordes of enthusiastic fans cheering you on, well that’s definitely a big plus, too. Some of the reasons to the run a marathon include: You’re getting fit and healthy while training; you gain a lot of confidence that you can do the impossible; you may be an inspiration to others; you’re making new friends; you travel; and you get to explore cities in a way few people, even locals, do. Runners like the course and the tremendous support they get from cheerful fans. 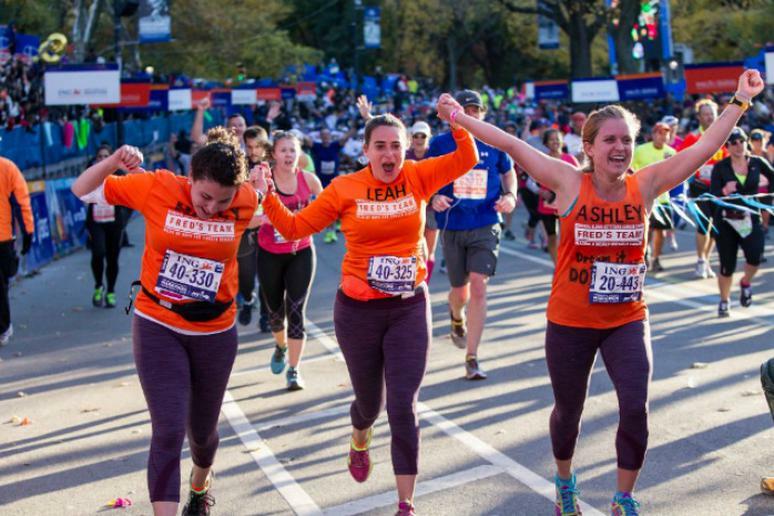 “The Big City knows how to organize big events,” one runner wrote on Marathon Guide. “It is fun to run through all five boroughs of New York, Before that, I have never set my foot on all five boroughs. 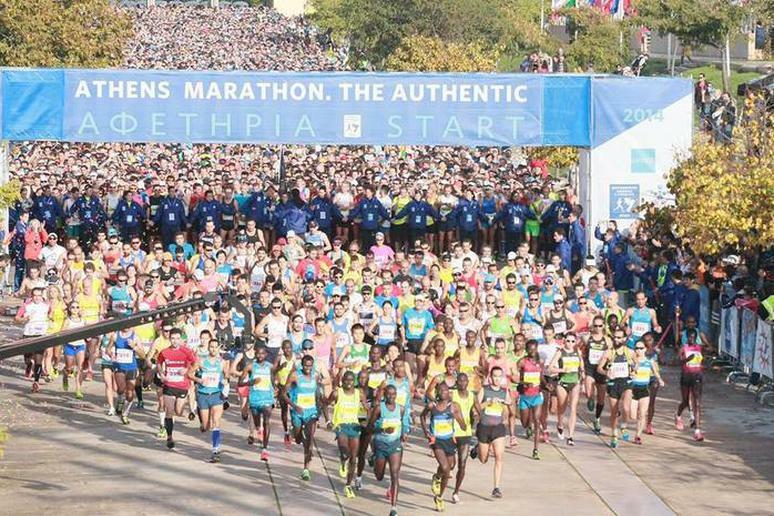 What an experience it was.” More than 50,000 people participate each year in the iconic race. It’s scheduled for November 6. 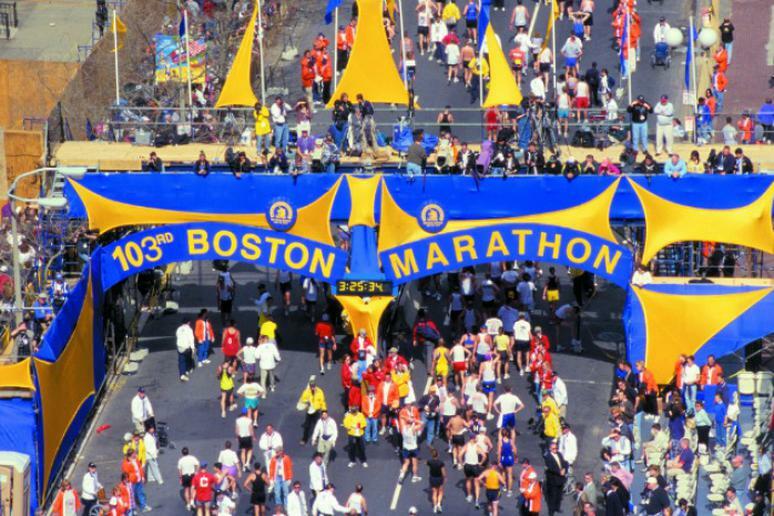 “My favorite thing about running Boston was actually the days preceding it. Someone below said you feel like a rock star and it's true,” one reviewer said. But that is not all. The race is a pillar of athletic achievement and perseverance. The course that starts in Hopkinton and ends in the heart of Boston is a scenic challenge well worth the tough entry process and qualifying races. The event this year is on April 18. 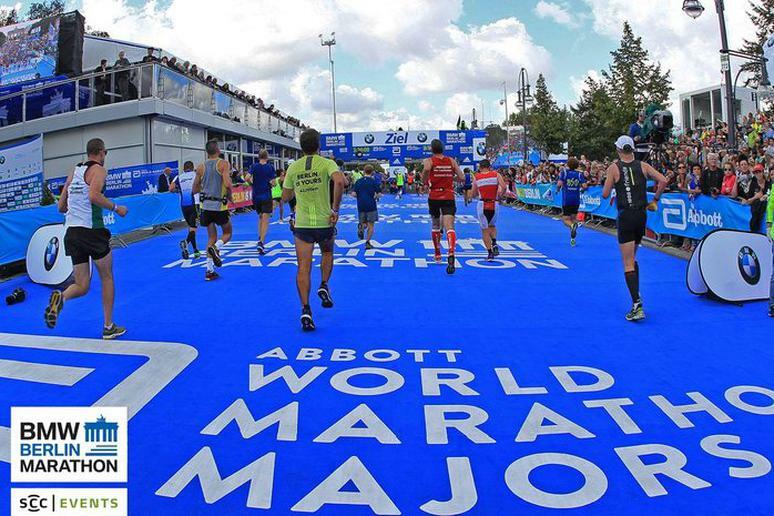 A flat course, enthusiastic spectators and “superb” race organization make this marathon a favorite among seasoned runners. Though it’s tough to get a spot on the starting line of this major race, it’s one of the best in the world and the scenic finish gives runners a one-of-a-kind view of the city. This year’s race is on April 24. The course is fast and flat, which attracts the pursuit of personal records and world record performances, and the race is very well organized. “17th Chicago, 90th overall. As always, this one delivers. By far, THE best spectators and volunteers you'll ever see. 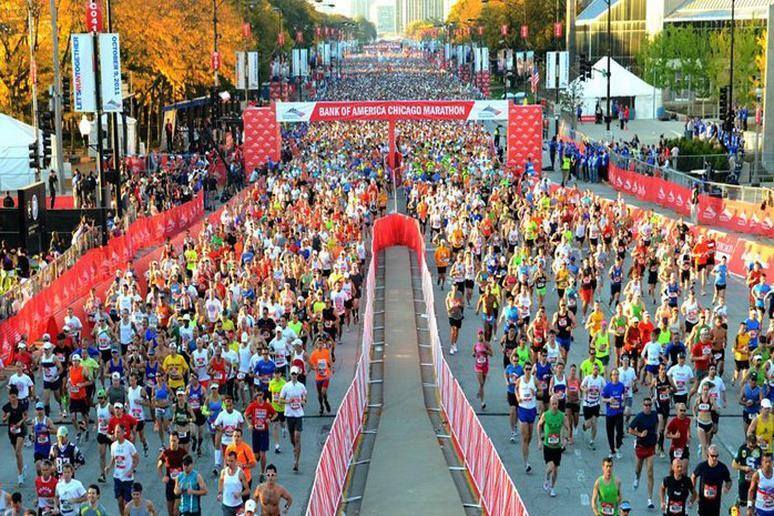 Chicago knows how to cheer and embrace this event,” one person wrote on Marathon Guide. A noisy crowd of cheering fans flock at the start, throughout the course and near the end with a fun post-race scene. The race is on October 9. Started in 1976, the Berlin Marathon has become so popular that the event now spans over two days. The first day features a 500 meter and a 1,000 meter Bambini Run, a mini marathon and an inline-skating marathon, and the second day is when the main marathon takes place. The festivities are a sight to see; exciting enough to easily land Berlin on any runner's marathon bucket list. The marathon is on September 25. 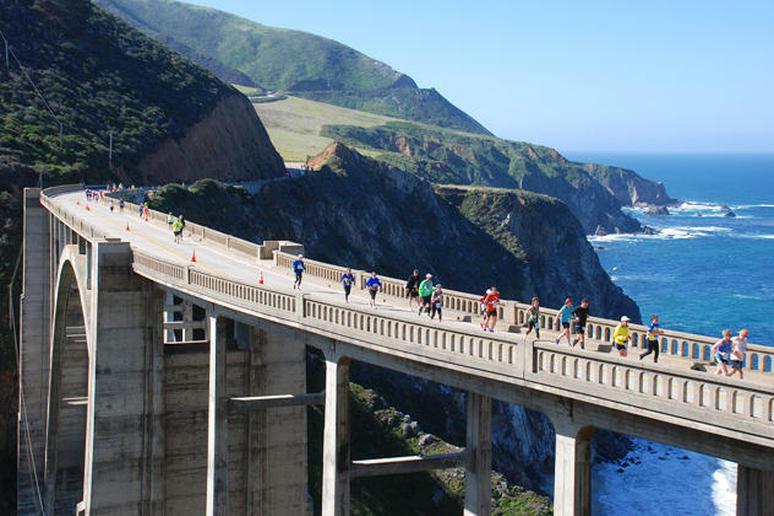 "If we were told we could only run one marathon in our lifetime, Big Sur would have to be it,” according to Bart Yasso, Chief Running Officer at Runner's World Magazine, cited on the marathon’s website. Participants get the opportunity to run 26.2 miles with one of the most beautiful coastlines in the country energizing and inspiring them. This year’s race is on April 24. 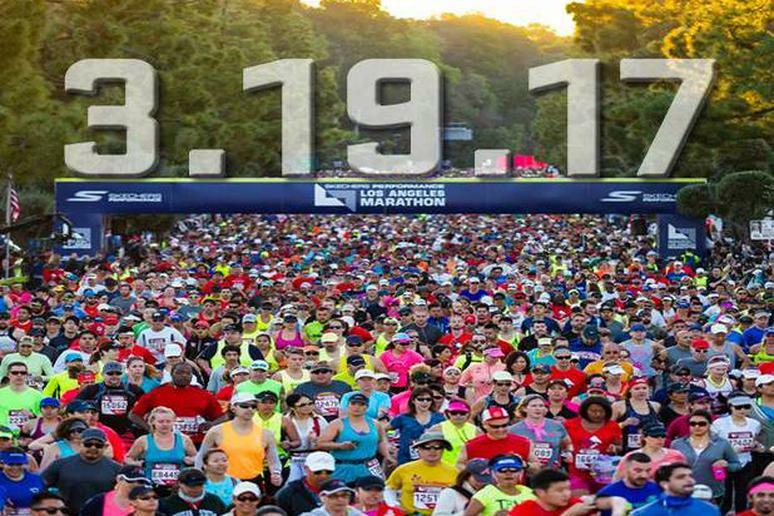 The LA Marathon has increasingly become one of the largest marathons in the country over the years. 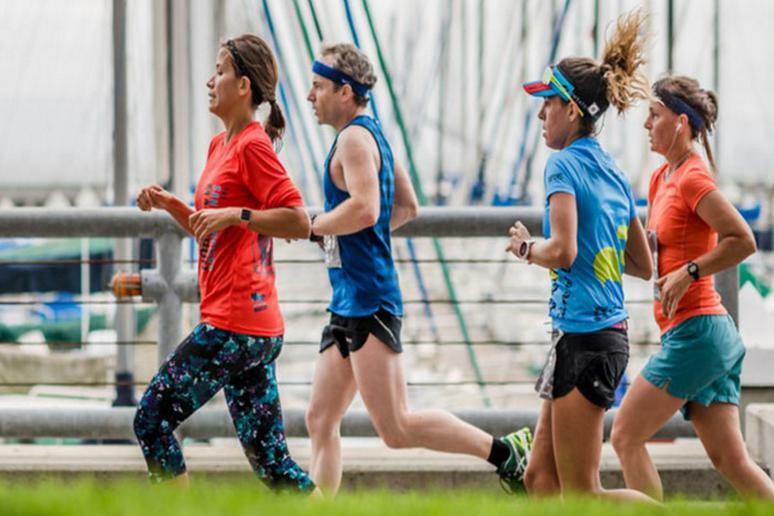 Since introducing their famous course entitled “Stadium to Sea,” participants flock to get their chance to run past the major landmarks in the city. Though it can get quite hot, the crowd support and aid stations push everyone forward. The race is on March 19, 2017. 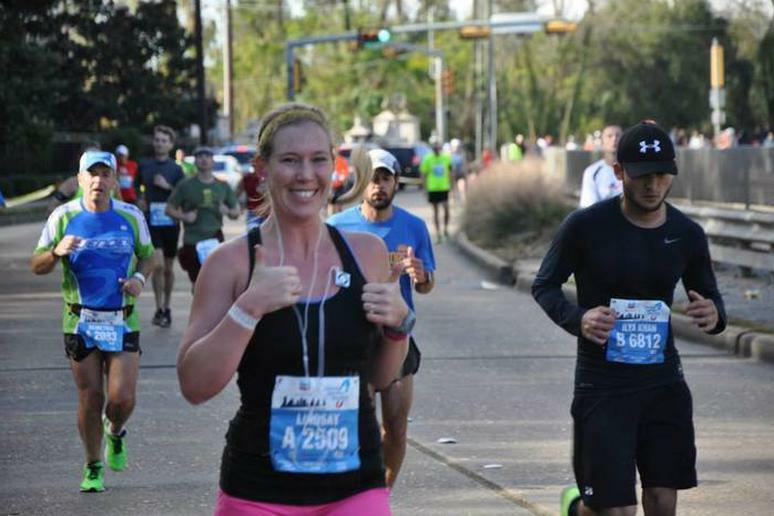 Two years ago the Houston Marathon changed its course for the first time and the racers rejoiced. “I have run marathons of all sizes and cannot say enough good things about Houston. 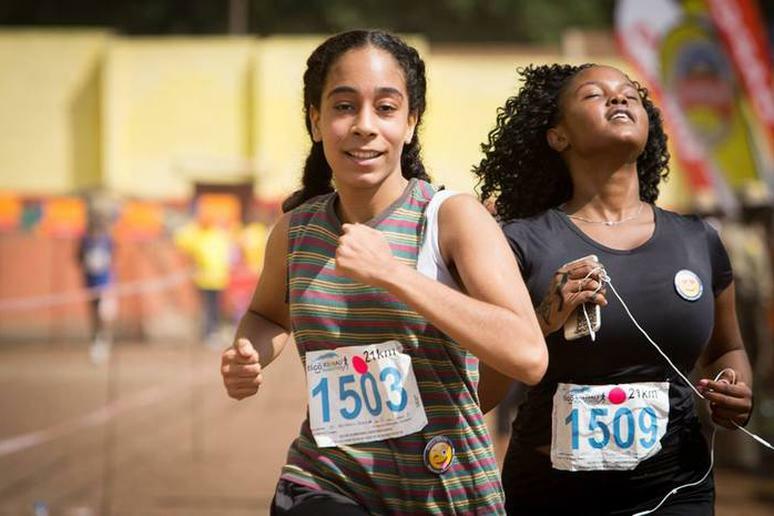 From pre-race notifications, to the expo, to the start, the course, the volunteers, the wonderful spectators and the finish, it all exceeded expectations,” one review read. The next race is in January 2017. 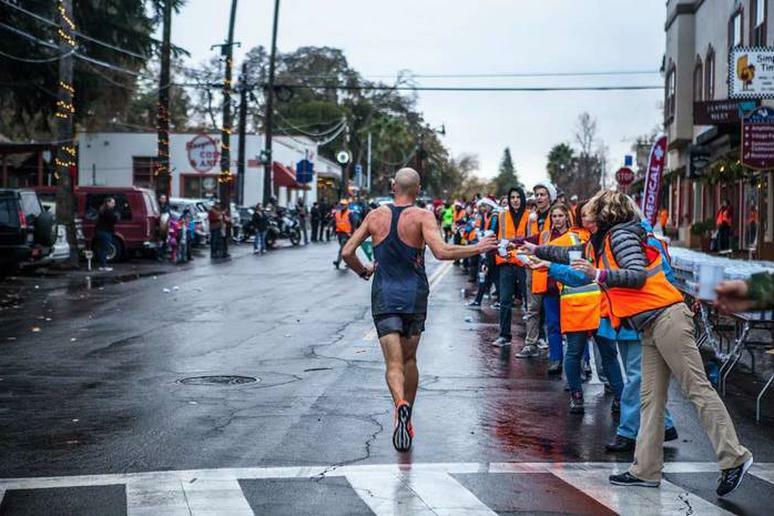 The California International Marathon is a race put together by runners, for runners—and that makes all the difference. This course is full of rolling hills and ecstatic spectators and it also happens to be a Boston Marathon qualifier and an Olympic Marathon Trials qualifier. Those who have run this marathon in the past rave about the finish, running right up to the capital. The event this is year is on December 4. 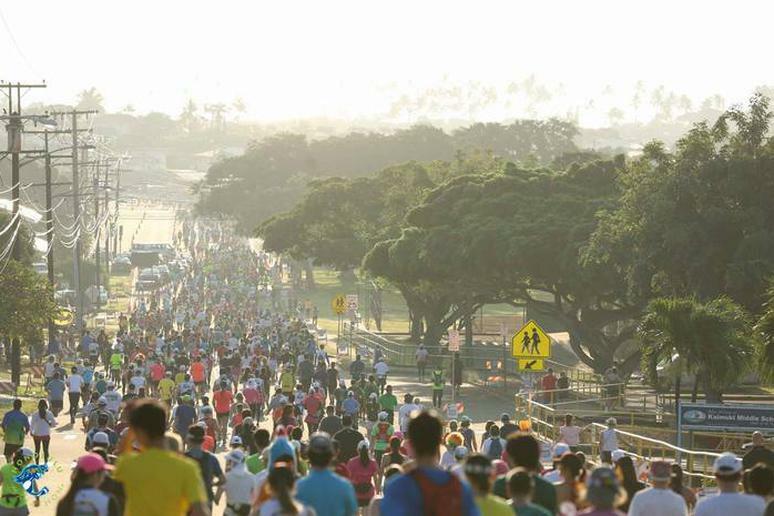 Despite a climate that isn’t always ideal for running, marathoners continue to flock to Hawaii for a unique race experience in Honolulu. In 2013 this race was the fourth largest in the U.S. and the eleventh largest in the world, according to Running USA. What makes this a marathon you won’t want to miss? “This was an incredible race. I will DEFINITELY do it again. […] Hawaii is a beautiful place,” as one person wrote on Marathon Guide. The race is on December 11. Although the geography of this hilly city does not make for an easy marathon course, runners still appreciate this race for its unbeatable scenery. Additionally, many who have run it in the past agree that it makes for a fantastic destination race. “The city is the major selling point—so electric & beautiful,” one runner wrote on MarathonGuide.com. “It is a very cool place to enjoy before, during and after the run.” This year’s race is on July 31. 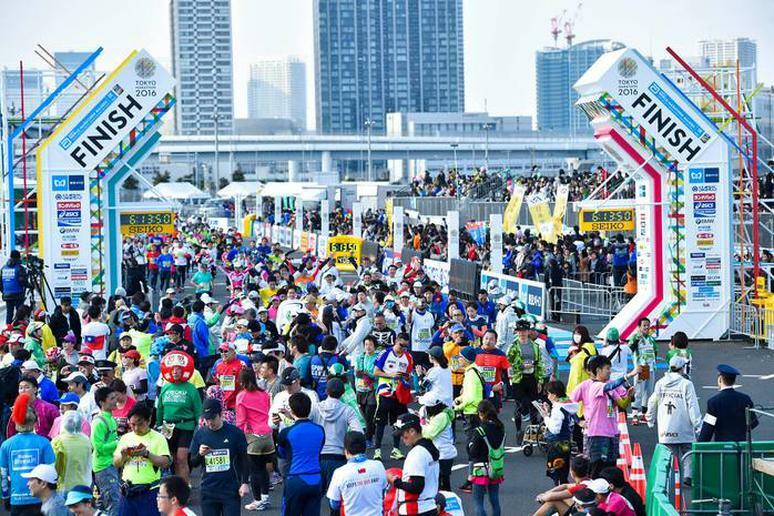 The Tokyo Marathon is the fifth largest in the world (the 2013 race logged 34,832 finishers, according to Running USA) and it happens to be one of the highest rated races, too. “This is a great marathon, the volunteers were endearing, especially in their genuine delight for all runners post the finish line,” one review read. The next race is on Feb. 27, 2017. 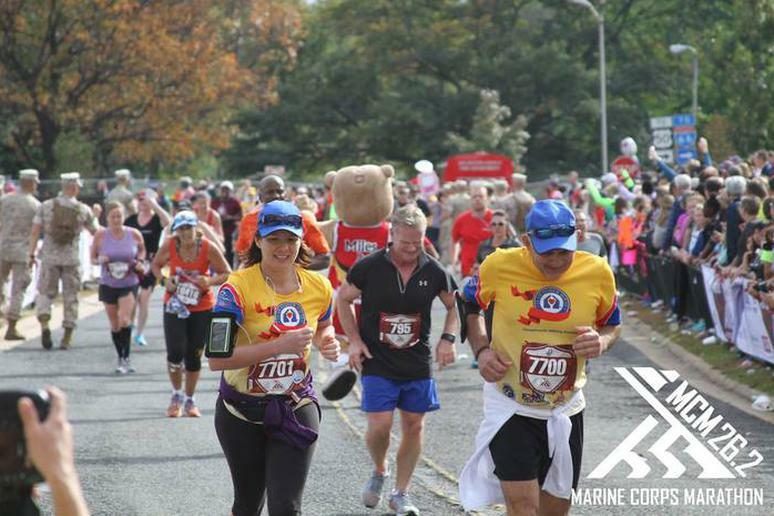 The Marine Corps Marathon is the third largest in the U.S. and has become known as “The People’s Marathon.” It attracts runners from all over the world and is open to everyone ages 14 and up. And as “The People’s Marathon,” it’s pretty clear from MarathonGuide.com that the people really do love it. One reviewer states, “It is what I call the total experience you need to do at least once in your lifetime.” The Historic Half is on May 15 and the Run Amuck is on June 4. 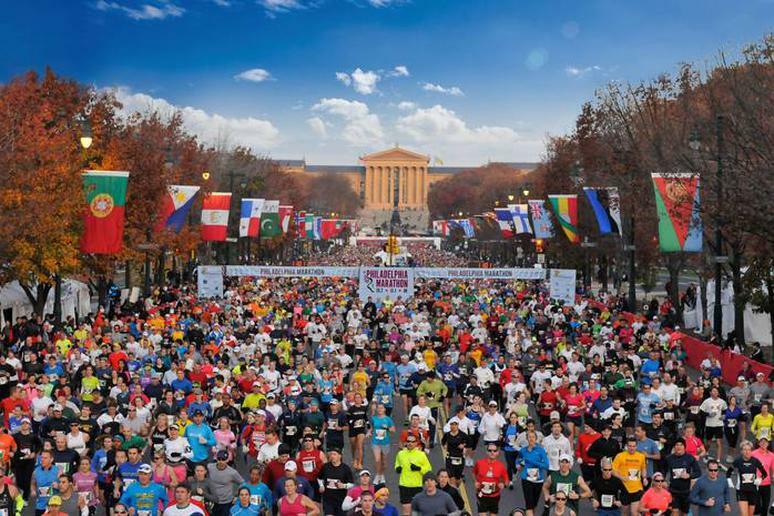 The GORE-TEX Philadelphia Marathon has a particularly scenic course, which leads runners past historical markers like Benjamin Franklin’s place of burial, the Liberty Bell and the National Constitution Center. Runners will also pass the beautiful waterfronts of both the Delaware and Schuylkill Rivers, and it’s even easier to appreciate the natural beauty when you realize the marathon is an environmentally-friendly event. 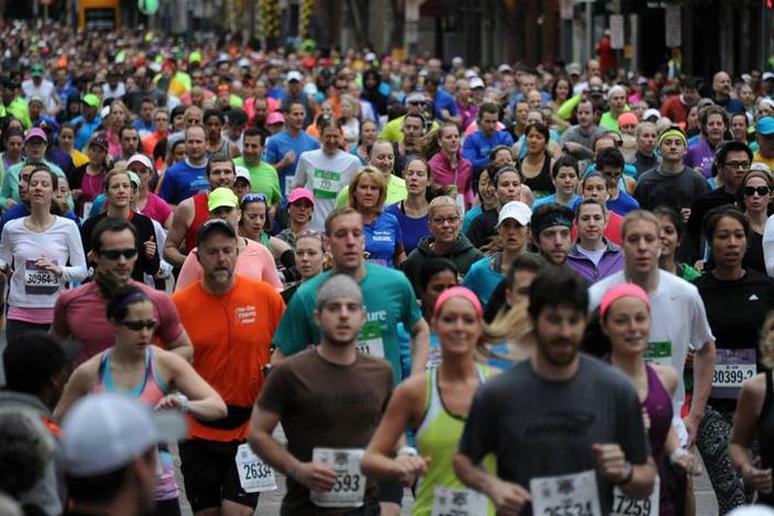 Pittsburgh gets rowdy for their annual marathon. Participants boast of the incredible crowd support. One MarathonGuide.com runner commented, “Really enjoyed the many, many other spectators who came out to watch the race who kept me going as I limp-jogged the last 8 miles to an unspectacular finish, the cool bands out on the course, very supportive volunteers […] oh yeah, and the 3/4 mile long downhill finish with people cheering.” Though Pittsburgh has a particularly hilly landscape, the course winds through, and most of the race is flat. This year’s race is on May 1. 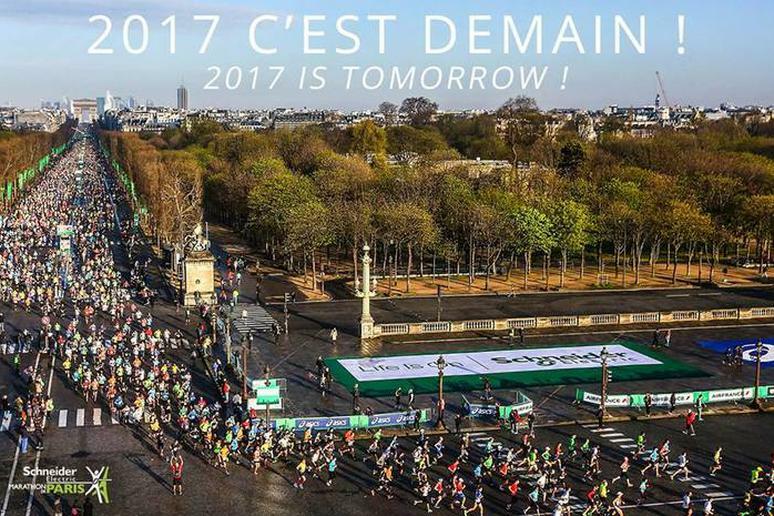 Known for its gorgeous route through the city of love, this marathon is one of the most popular races in Europe. It offers unique food and drink stations that include beer, wine, cider and oysters. It is limited to 37,000 runners and requires a doctor’s note to compete. 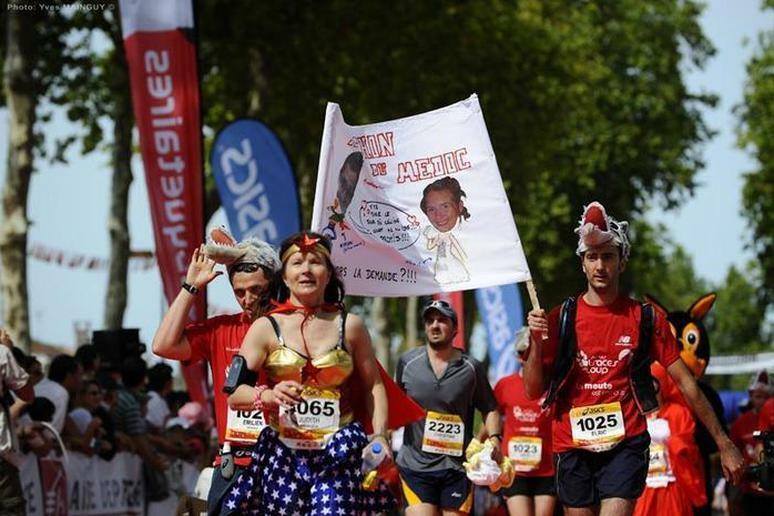 But the race gives participants the opportunity to run through the best areas of the city including past the Eiffel Tower, the Louvre, Bastille, and the Arc de Triomphe. The next race is in April 2017. What could be more magical than running your way through all four of the Walt Disney World theme parks? Runners start in Epcot then continue into Magic Kingdom, Animal Kingdom, Disney’s Hollywood Studios and then return to Epcot for the finish. 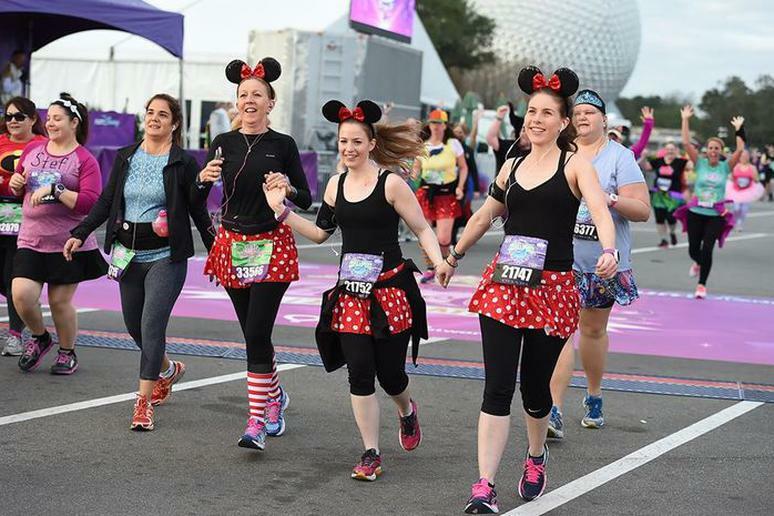 A two-time Disney World Marathon runner said it best on MarathonGuide.com, “Disney knows how to throw a party and the race shows it." The next race is in January 2017. 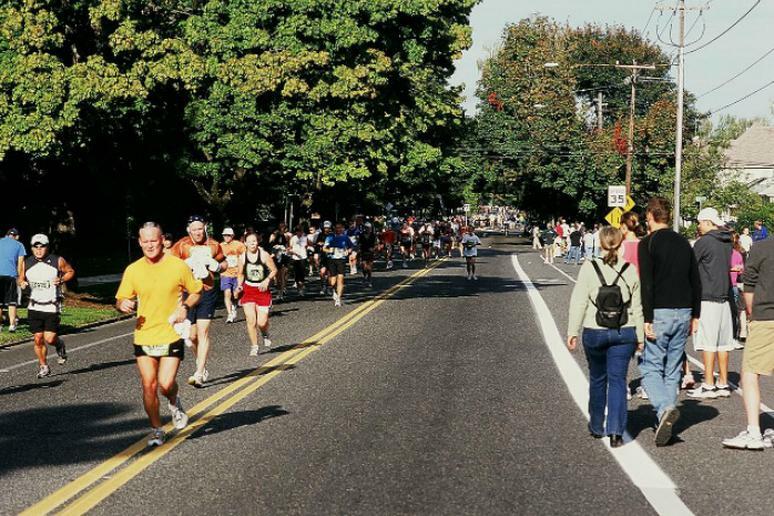 Although much smaller than some of the world’s more popular races, runners like the Wineglass Marathon because it’s well organized and because of the course’s scenery, which is incomparable to almost any other race. The next race is on Oct. 2, 2016. The Marathon du Medoc has been elected the most convivial race in France four times, three of them were in a row. The event is all about the fun. You get wine at the aid stations in Bordeaux. Do you really need anything else? However, it’s also a real marathon. You’ll run 42.195 kilometers, 26.21 miles. There is a costume theme every year. The next race is on Sept. 10, 2016. Set during the most scenic time of fall, this race has been unofficially dubbed “The Most Beautiful Urban Marathon in America” by many racers and supporters. And the beauty goes far beyond the lake views throughout the flat course. Festivities are in full-swing the entire marathon weekend with fun events for the entire family. 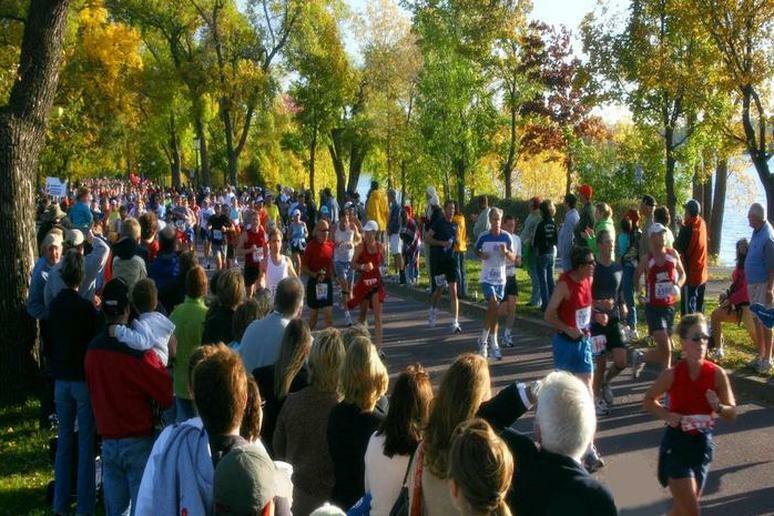 Twin Cities makes their marathon a celebration, attracting over 300,000 spectators, 5,000 volunteers, over 25 entertainers and Cheer Zones, and post-race activities. The race is on October 9. 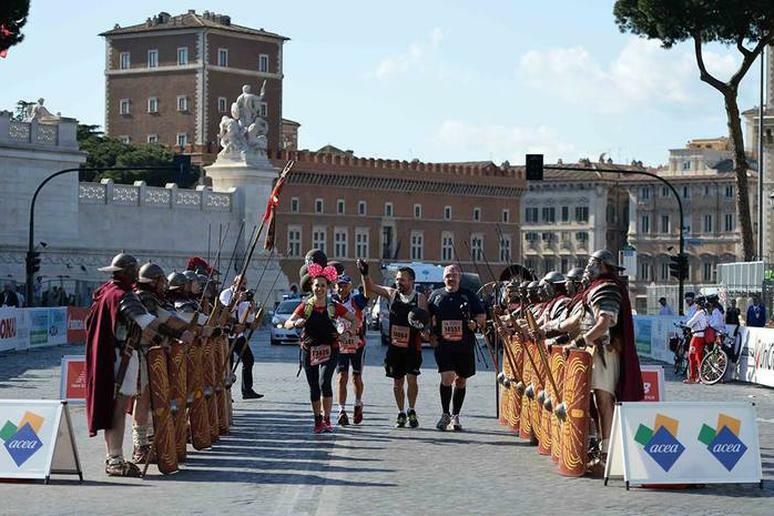 The Rome Marathon is like a run through history and art. It starts at on the Via dei Fori Imperiali in the shadow of the Coliseum. Runners will pass famous landmarks such as the Piazza di Spagna, the Trevi Fountain, the Pantheon and the Saint Peter's and Piazza Venezia. Rome may be the “City of Seven Hills” but the course is actually flat. But don’t worry, the cobblestones along the way make it quite challenging. The next race is on April 2, 2017. 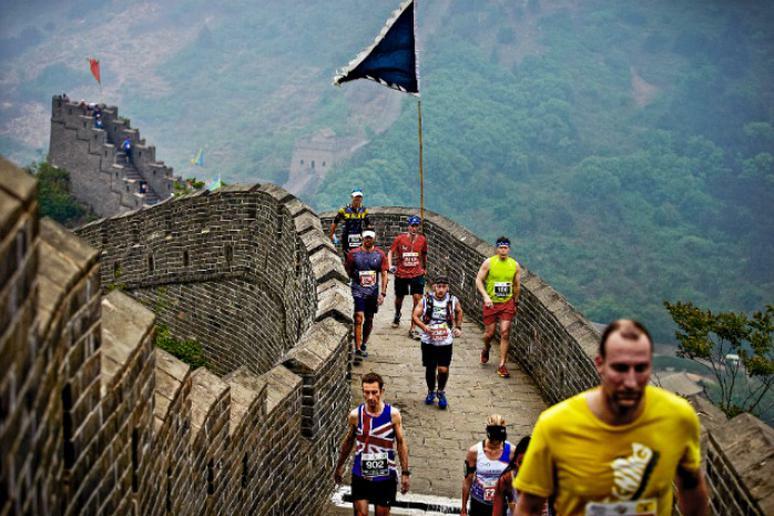 If you’re totally determined, then go ahead and add running 26.2 miles up, down and all around The Great Wall of China to your bucket list. Or, you could opt for the half distance or 8.5K fun run — each slightly less challenging but still incredibly rigorous. 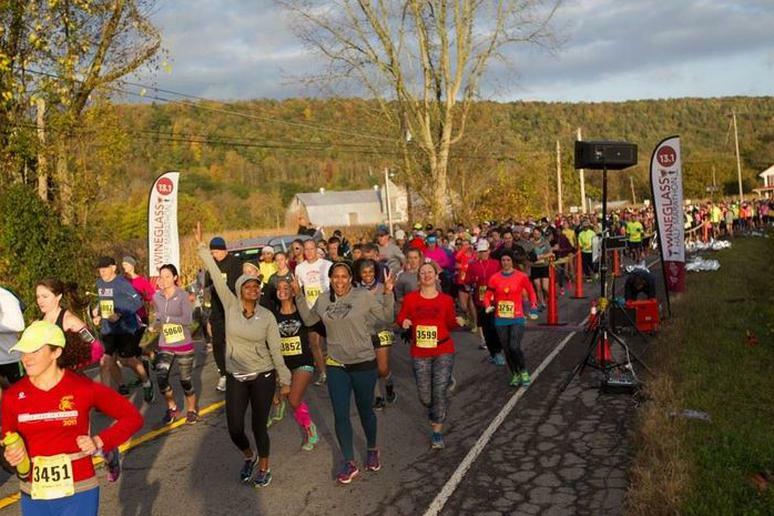 In 2014, the event sold out to 2,500 runners from more than 60 countries, so be prompt to register if you’re adamant about checking this doozy of a race off your list. The race is on May 21. The Great Ocean Road presents a difficult challenge to people who run it. 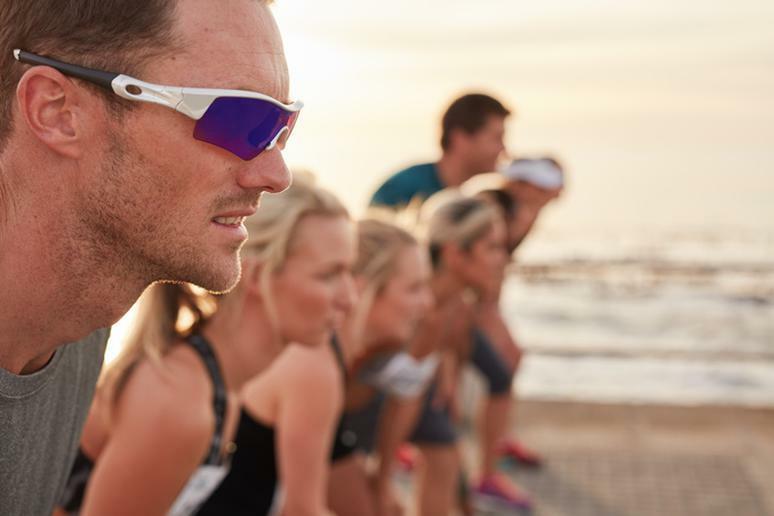 The stunning views of the Southern Ocean attract runners from all over the world. You can see some of the highlights in this video. 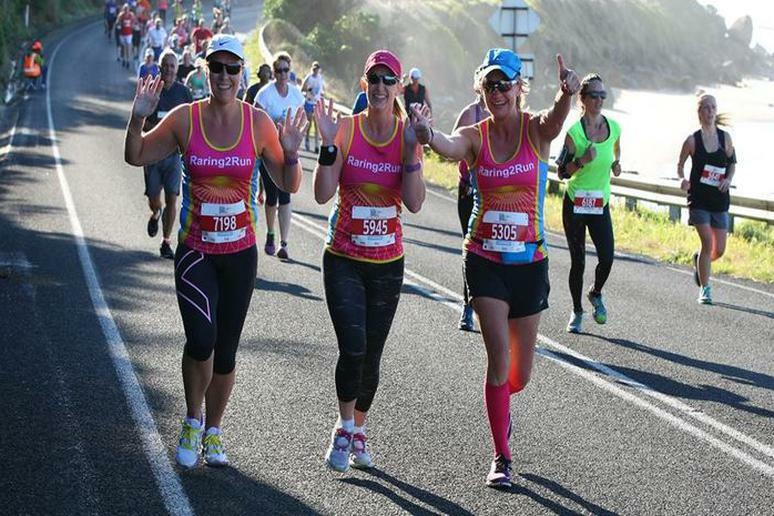 “I ran this spectacular course and we had perfect conditions, no wind, cool but refreshing, the ocean views were to die for,” one reviewer wrote on Marathon Guide. The runners like the course, which is flat, and the spectators, who are everywhere. This year’s race is on May 15. 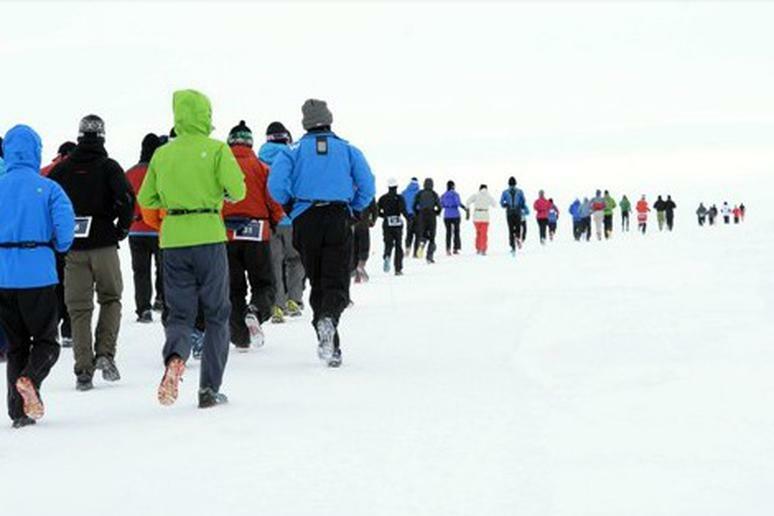 The Antarctica Ice Marathon has been recognized by Guinness World Records as the Southernmost Marathon on Earth. One thing that is very intriguing is the fact that it’s impossible to predict winning times because weather conditions and terrain change from one year to year. “I have run both the Antarctic Ice marathon and the other Antarctica Marathon held on King George Island. Whilst both were great trips, the Ice Marathon is the only race where you get a true Antarctic marathon experience, running on the ice in one of the most isolated places on the planet,” one review reads. “It was the most relaxed marathon I have run. Everything was taken care of from our registration to packet pick up to transportation,” one reviewer wrote. The runners also like the course, which they describe as difficult “but completely worth it.” The marathon has an interesting history. In 490 BC the first battle for democracy was fought at the Greek village of Marathon. Legend has it that, when the battle was won, the Athenian messenger Phidippides ran 24 miles to Athens, carrying news of that stunning victory. The modern marathon commemorates this feat. The next marathon is November 13. 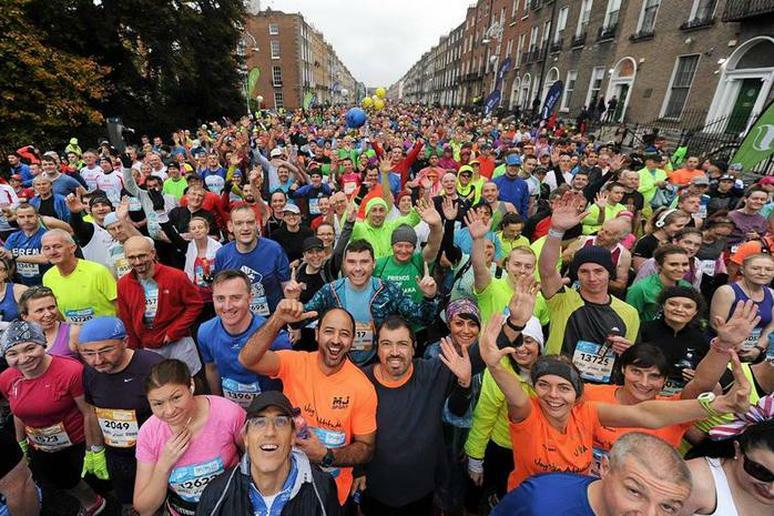 The Dublin Marathon is a single comparatively flat circle, starting and finishing in the city’s center. Runners will pass the historic Georgian streets. The race is sometimes called the “Friendly Marathon” because of the friendly and supportive volunteers and fans. The conditions are almost perfect to run for about seven hours – light wind and temperatures about 55 degrees. “When we drove the course the day before the race I couldn't believe how difficult it was, and after finishing the race I felt like I had not only completed another marathon but that I had really achieved something,” one reviewer wrote on Marathon Guide. The course is hard. 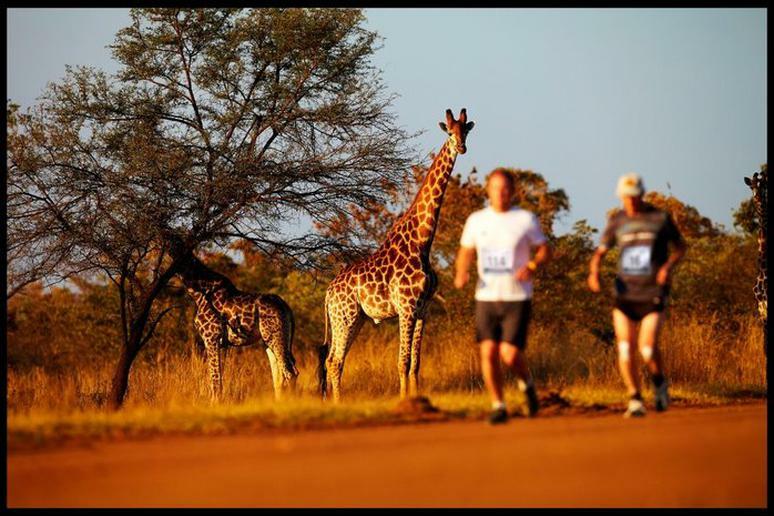 Runners say that in the middle of the run you’re surrounded by lions, elephants, leopards, hippos and rhinos. The next race is on June 26. The Missoula Marathon course is flat and fast. It has a significant hill in the middle. The race starts with a scenic route through the countryside and finishing in historic downtown Missoula. 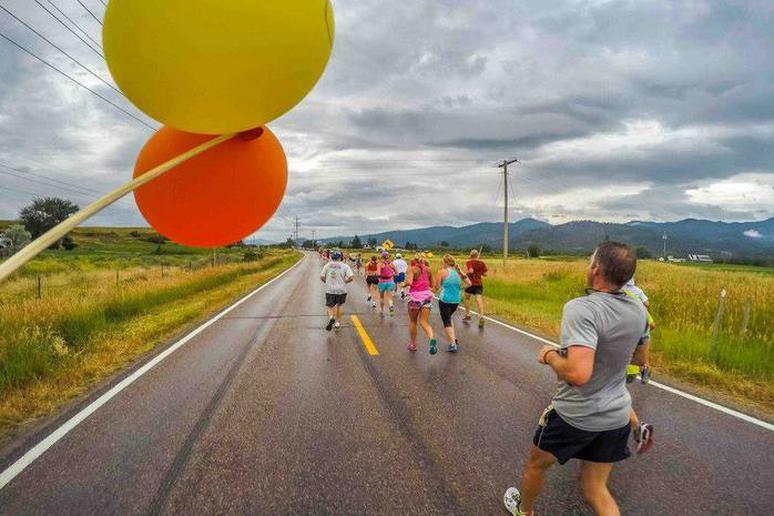 Many people recommend the Missoula Marathon, which is on July 16, as a training event before you run a real challenging race like the one in Boston or New York. Kilimanjaro is Africa's highest mountain and the highest free standing mountain in the world at 19,340 feet. Running the Kilimanjaro Maraton, you will be gaining about 26,000 feet in altitude. The route includes dirt road as you will pass by many farms and plantations. You will also get to run through the forest cheered by fans. Live entertainment along the way is also provided. The next race is on Feb. 26, 2017.